It took a little bit for me to get into this book, as it started a little bit choppy, but once I got through the first couple of chapters I actually enjoyed the story. Lady Georgina has a secret, one that may ruin her chances at a suitable match - and that could be used against her family by a suitor that isn't quite as upstanding as he seems. Georgina hides her secret behind a veil of distain, fooling her friends and her family - but Colin can see glimpses of the woman that she is behind the veil. Can he convince her to share her fears, not only with him, but with her family? Colin is a man without a title, but who circulates within Lady Georgina's social circle for other reasons - primarily because of his outstanding business sense. 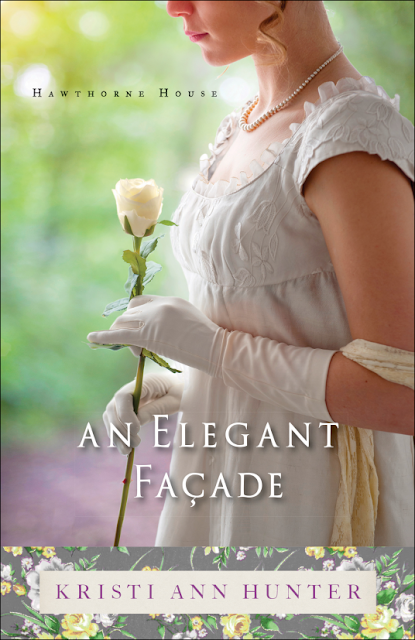 He is inexplicably drawn to the young woman in white, although he knows that she is aiming higher than a mere 'mister' in her search for a husband. Will Georgina be able to get past the fact that Colin isn't a man of title?